Three Canadian start-ups are taking their companies from emerging to flourishing by heading to the Silicon Valley- at least for the summer- courtesy of the Canadian Innovation Exchange’s Technology Accelerator program. A joint initiative with the Canadian Department of Foreign Affairs and International Trade (DFAIT), along with the Canadian consulate general in San Francisco, the CIX project picked three emerging tech companies to work in California for three months, beginning this June. “It was kind of time to go beyond having an annual event,” says Chris Arsenault, co-chair of CIX and a member of the Accelerator program’s selection panel. The CIX-hosted event was successful for entrepreneurs and investors, but with more accelerator programs popping up around North America, it was time to do more, he says. GShift Labs Inc., a Barrie-Ont.-based company offering search engine optimization services, was one of the start-ups chosen to participate by a selection committee, out of more than 50 applicants. Two people from each company can work from the Plug and Play Tech Center in Sunnyvale, Calif. where it is typically competitive for a start-up to get office space. LaRiviere has seven employees and she says she’s hoping to send different people at different times. “I’ll be going for partnership opportunities,” she says, but her developers will be there to work on other goals. Her company is looking to expand into partnerships with social media sites and working more with social networking, so being in California is a significant advantage, she says. “The Silicon Valley is really the heartbeat of the industry,” she says. The benefits are also enjoyed beyond her company, LaReviere says, since investors also gain from GShift Labs’ success. The same could be said for Fuse Powered Inc., a Toronto-based video game publishing company. While many of Fuse’s partners and its network are in California, picking up and relocating there is easier said than done. The company’s CEO, Jon Walsh, is married and has two young children, so really understanding the area and its benefits to his company are essential before leaving Canada, he says. That’s why the CIX program is so useful for him, he says. “Without it, I wouldn’t know where to start,” Walsh says. “We’re really happy to have been selected,” Walsh says. Fuse’s eight employees will be taking turns working in California. Many of the people in CIX’s network are Canadians already working and living in San Francisco and its surrounding areas, according to Walsh. “We don’t want them to leave Canada but we also want to establish the right links and bridges,” Arsenault agrees, which is why the program involves networking with members of the C100, a non-profit organization of Canadian entrepreneurs, many of whom live abroad. 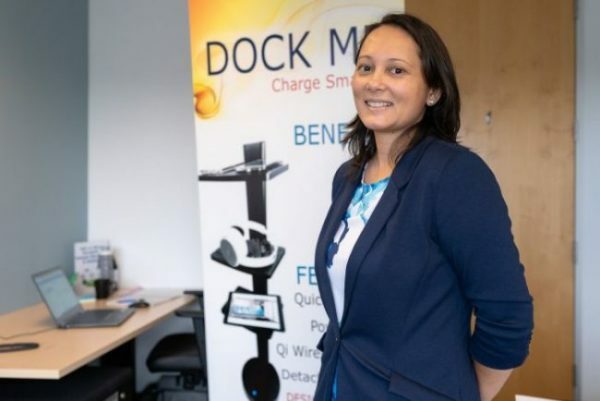 DokDok, a start-up backed by Montreal-based venture capital firm Real Ventures, was the third company chosen for the Accelerator program. The company created Context.IO, an email API built for app developers. Both LaRiviere and Walsh say the application process was straightforward and simple. Choosing the right candidates wasn’t tough. “We could have easily chosen six or seven if we had the potential,” Arsenault says. The selection committee had to see which companies would benefit most from the program. Less than $10, 000 is actually going towards the project, but much of the program’s benefits come from the good will of partners. DFAIT contributed to the costs of the program as well as facilitating work visas and places for the entrepreneurs to stay in California. The accelerator program is the first of a series of new projects by CIX, Arsenault says. “It’s a great beginning,” he says.